Feasibility studies, and their accuracy levels, are a hot topic at the moment and we were very fortunate to have Liv and Jan explain their views on the topic and Wardell's methodology in preparing these types of reports. 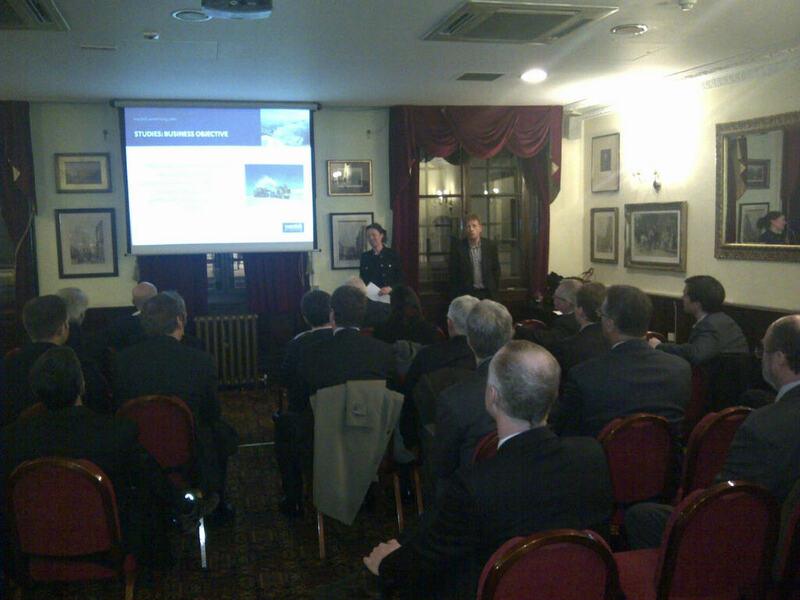 In another informal technical session, hosted at the Counting House pub on Cheapside, members had the opportunity to discuss topics with Liv and Jan as well as other members of the audience. Liv gave a great overview of the geological aspects of preparing feasibility studies, focusing on resource estimation and the risks involved. Jan followed with a few slides that covered the various components that go into preparing a feasibility study. Lots of additional topics were discussed such as the level of detail an environmental and social impact study should go into, and how much baseline data is needed. Data standards in general were brought up and how companies may be reprimanded for poor performance through peer review. The debate continued to the bar area where the usual beer and nibbles were fueled the discussion. In particular, the ongoing brouhaha between Strathcona and Snowden, two consultants working on the high grade (or maybe not) Valley of the Kings deposit/Brucejack project in British Colombia, was the hot topic. See our blog feed on the topic.